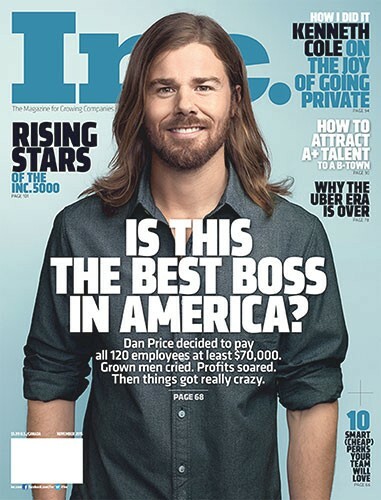 Things were rough at first, Price’s brother, who he co-founded the company with, sued; a few top employees quit when the meritocracy they benefited from collapsed; and the owners of Seattle’s most expensive restaurant whined about this, and having to pay a $15 hour minimum wage themselves, to the New York Times. Those things contributed to a very real worry that Price’s generosity would be the company’s undoing. Business has surged, and profits are higher than ever. Gravity last year processed $10.2 billion in payments, more than double the $3.8 billion in 2014, before the announcement. It has grown to 200 employees, all nonunion. The pay raise also helped attract new employees — including some who yearned to join a company with values. Tammi Kroll, a Yahoo executive, took an 80 percent pay cut to move to Gravity, where she is now chief operating officer. Good job, Gravity and Dan Price. Where can I send my resume? Seattleite, (mostly) retired arts/culture blogger. Come for the Seinfeld references, stay for the Producers references. A blog about the Pacific Northwest.